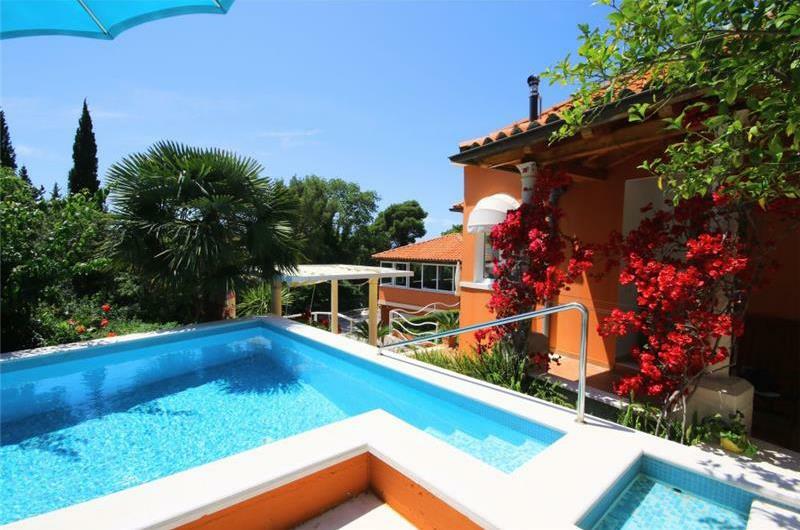 This comfortable seaside villa is located in the small town of Mlini, located approximately 20 minutes' drive from Dubrovnik. 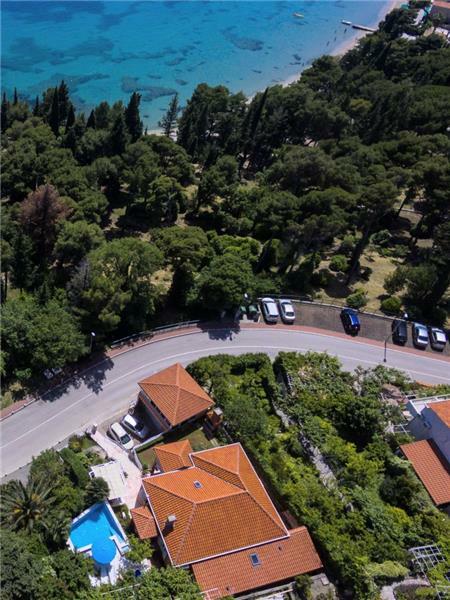 Situated in front of a pretty forest, guests staying at the property will benefit from leafy views from the garden and easy access to Mlini’s fine pebble beach lapped by the crystal clear waters of the Adriatic. 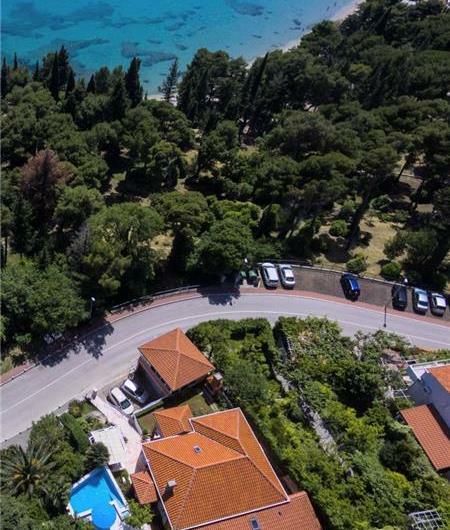 The villa is entered from the road which leads on down to Mlini. 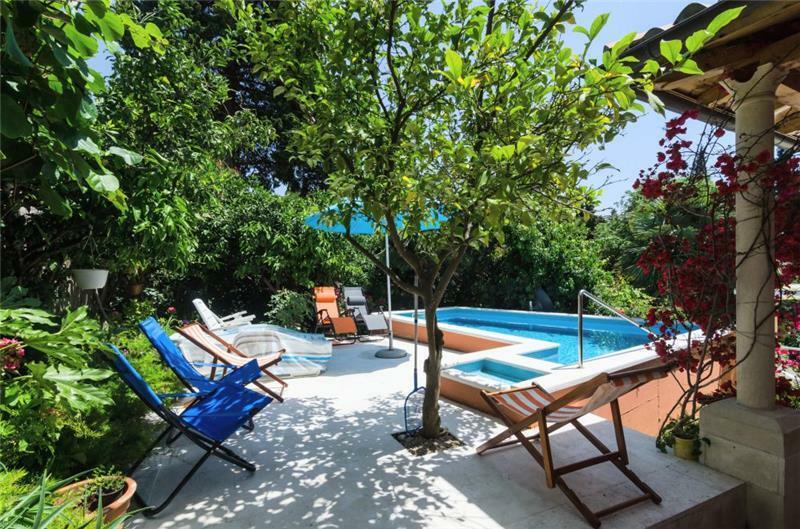 Steps from the parking area take guests up to the garden, with L-shaped pool and terrace with sun loungers. 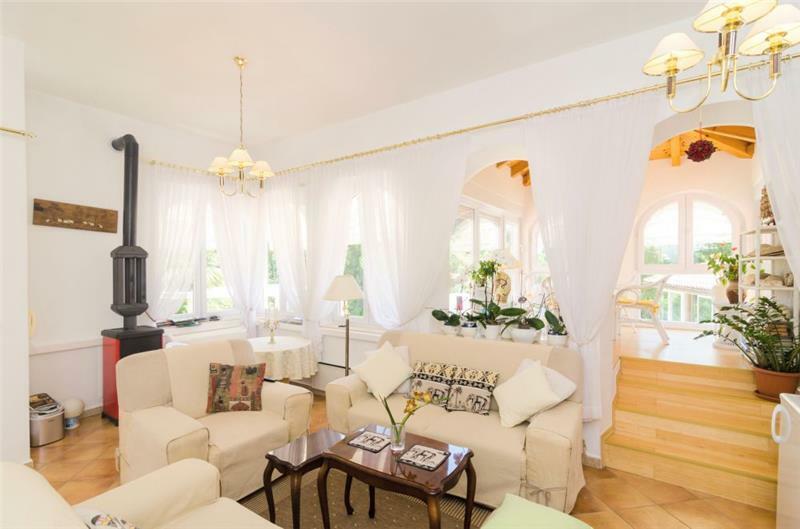 To the left is the villa entrance, which opens into a comfortable lounge area. 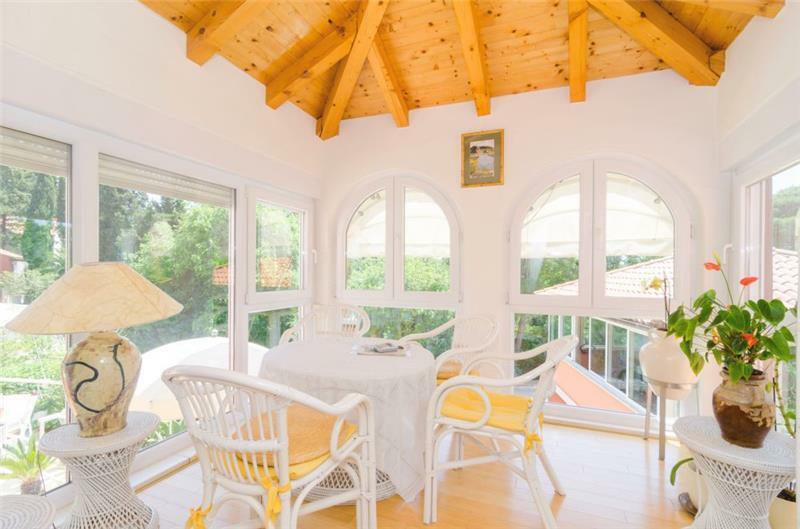 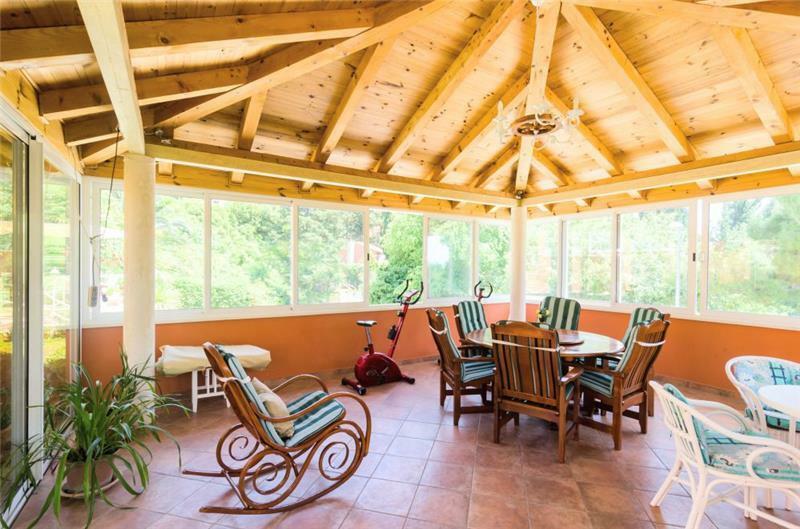 A bright and airy conservatory with dining table and chairs gives guests the space to relax over dinner with views over the forest opposite the villa. 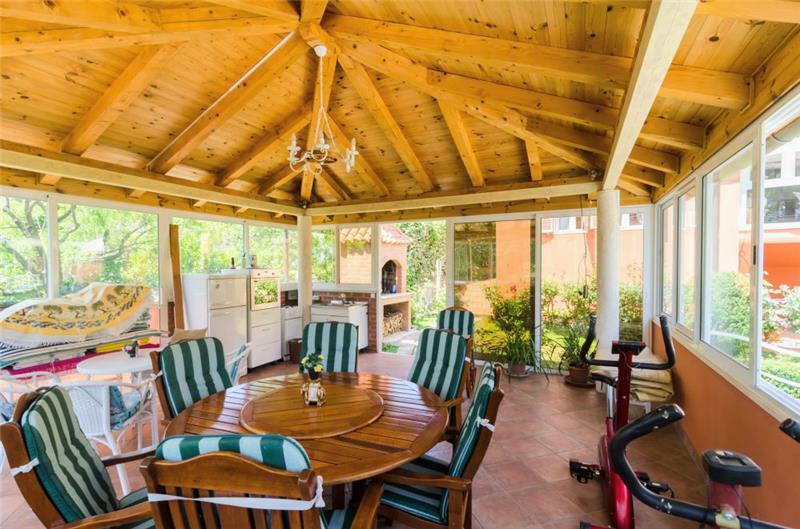 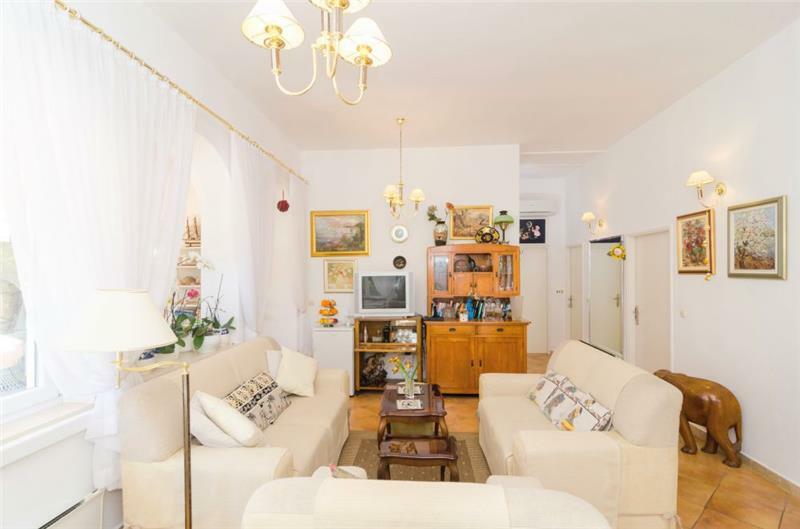 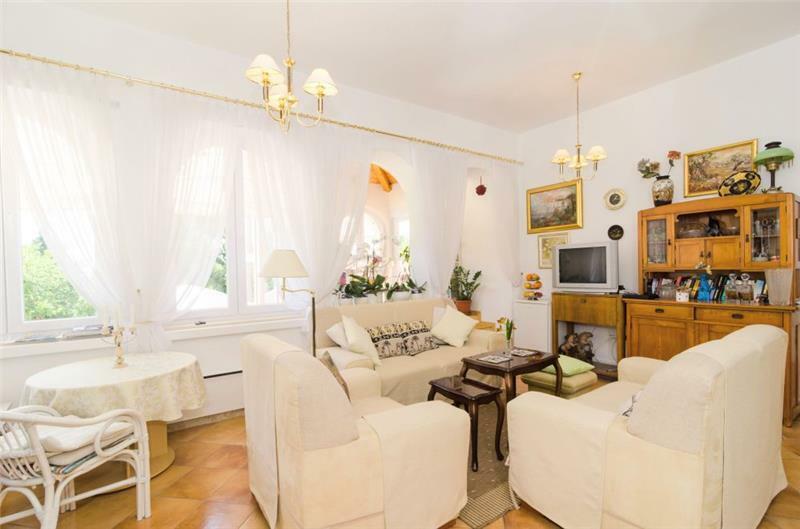 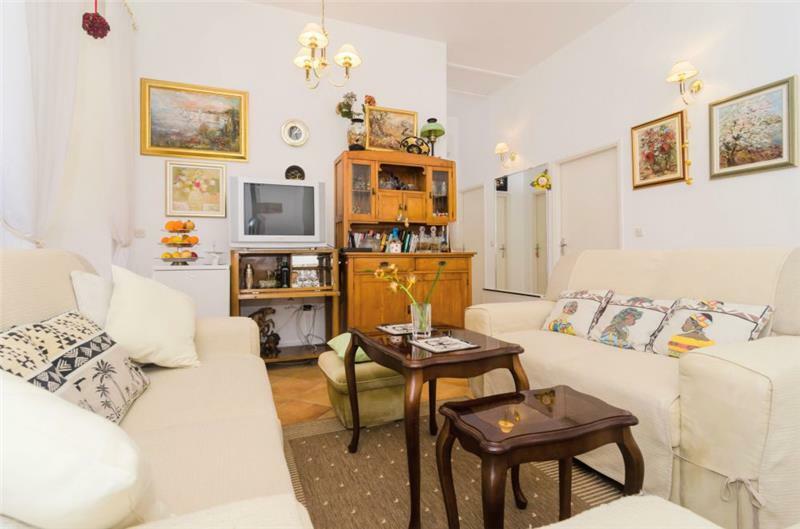 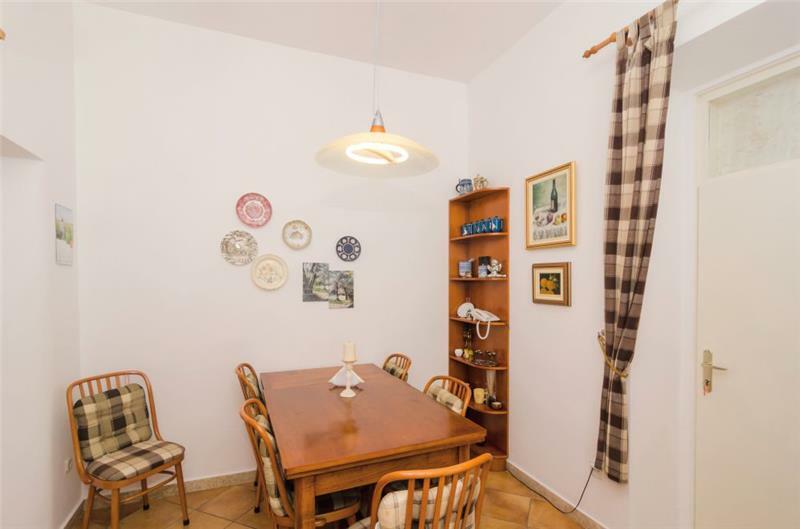 To the right of the lounge is the well equipped kitchen, with second dining table and chairs. 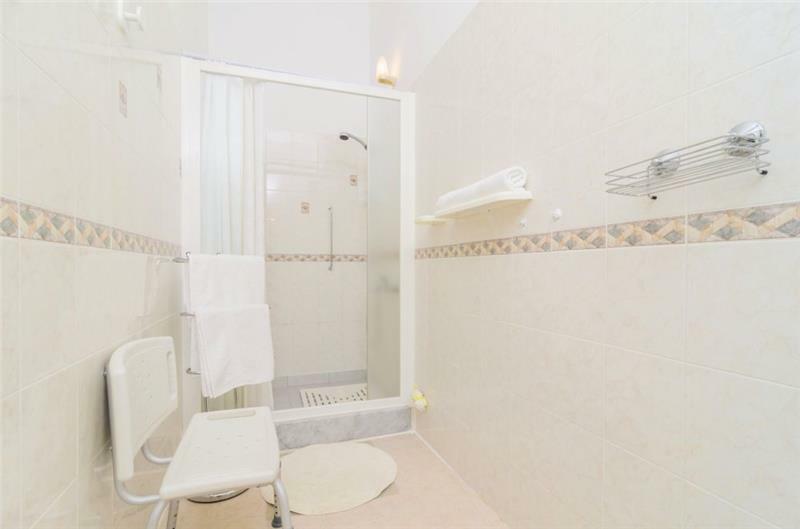 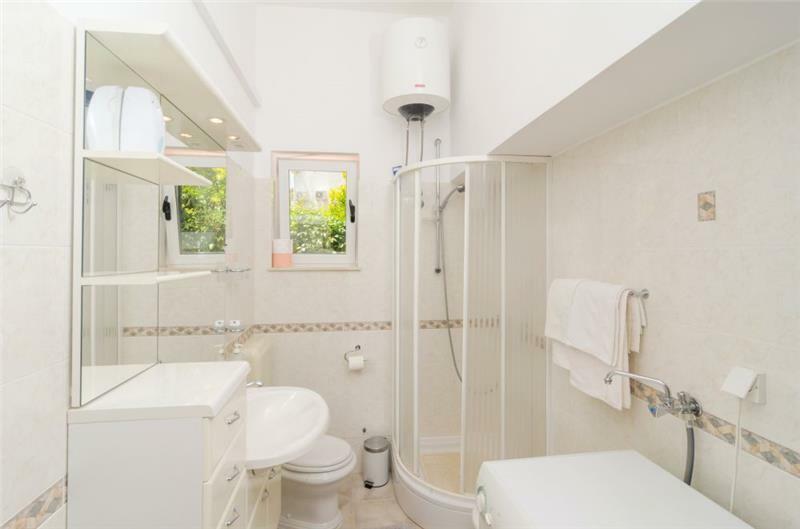 To the rear of the property is a double bedroom with en-suite shower room, and a twin bedroom with separate shower room housing a washing machine. 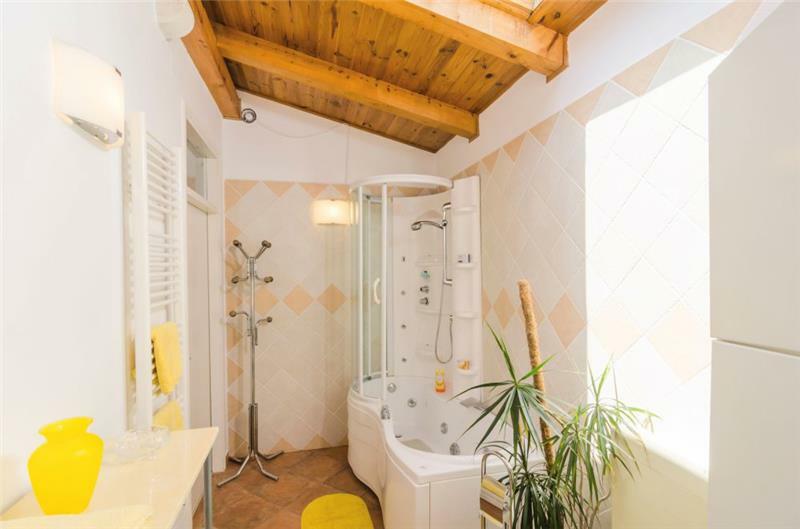 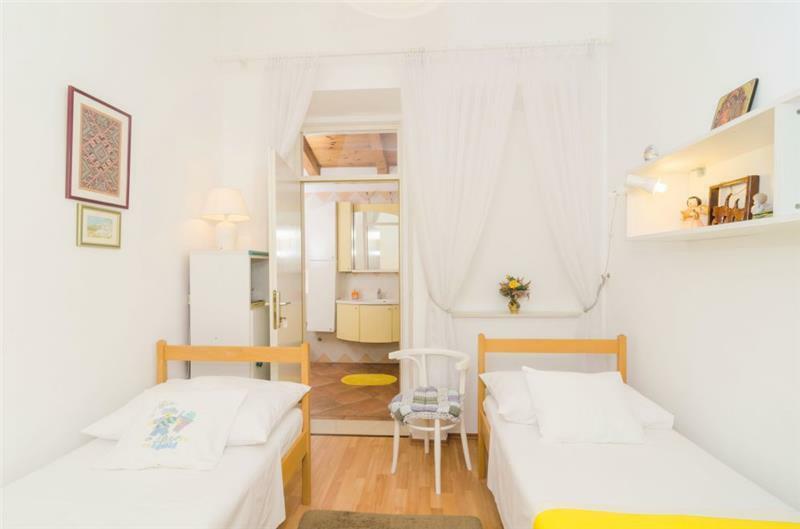 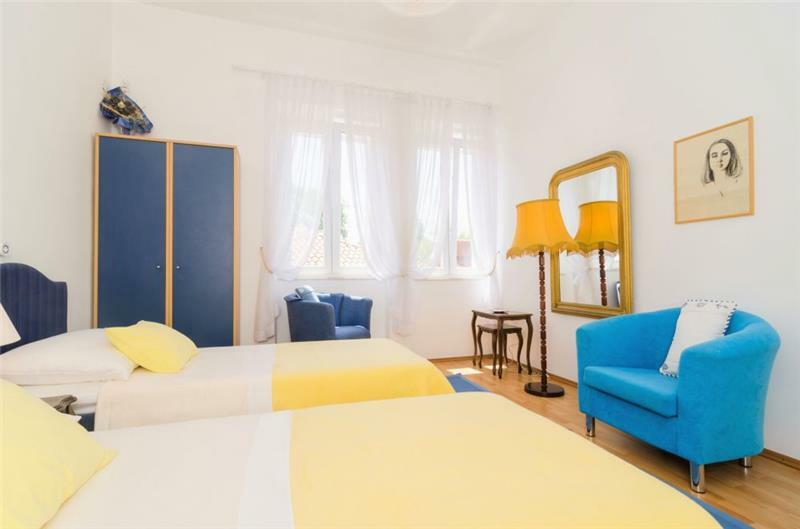 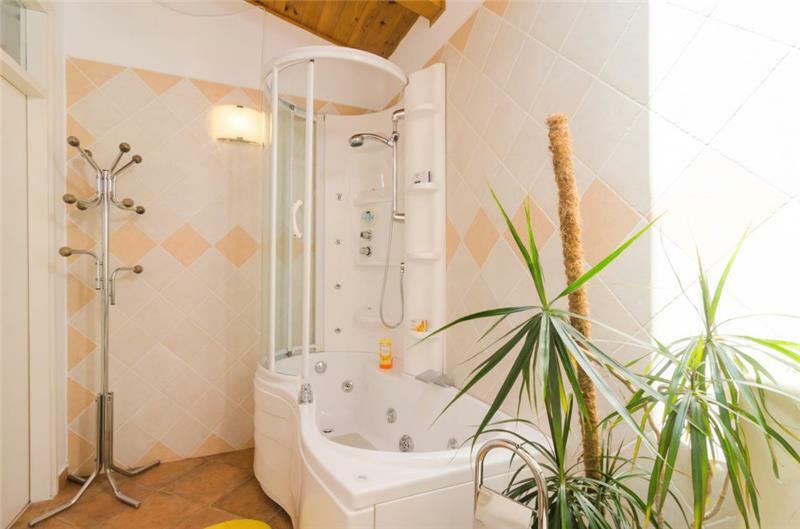 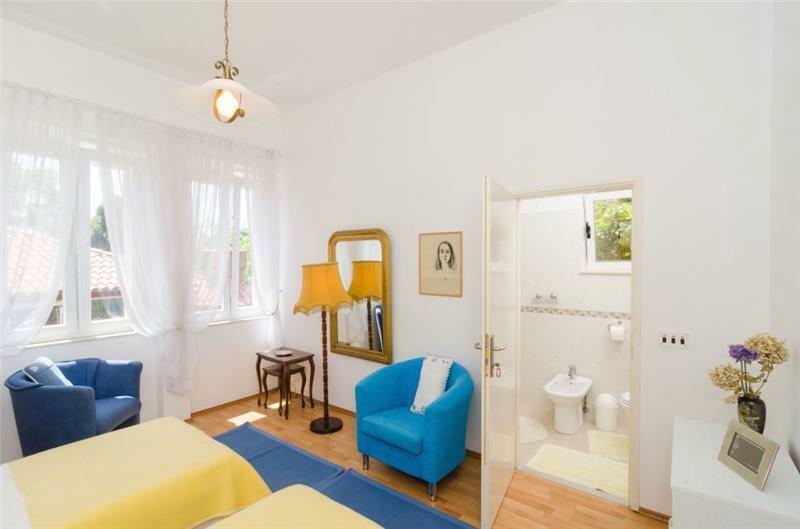 One standard size twin bedroom and one small twin bedroom suitable for children only share one large family bathroom complete with a Jacuzzi bath. Car hire is recommended. 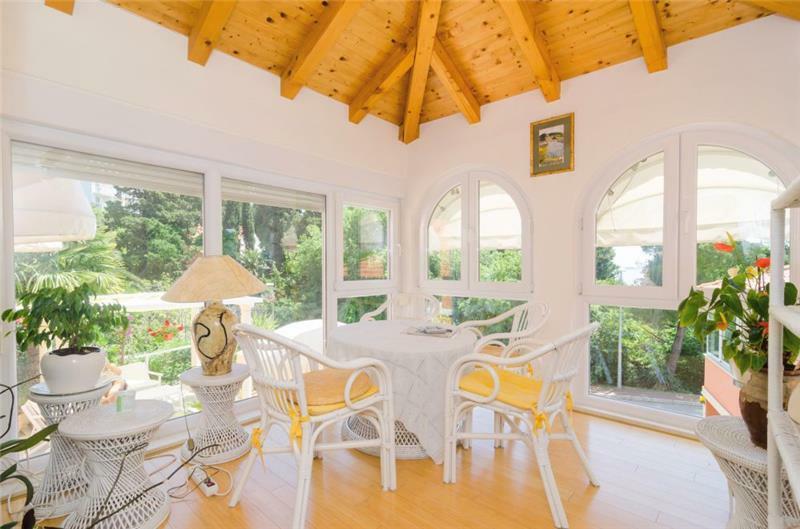 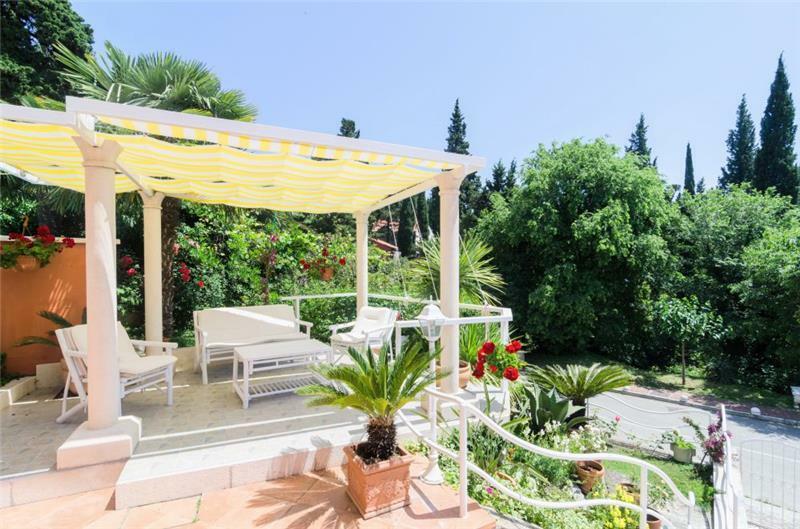 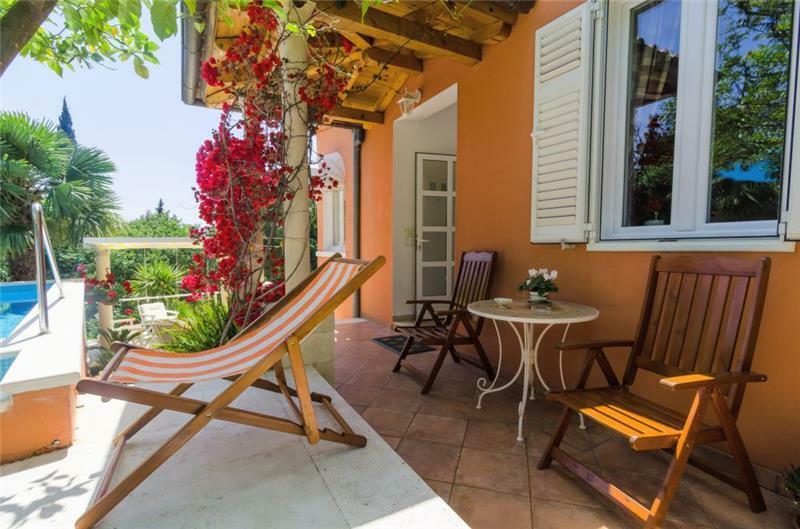 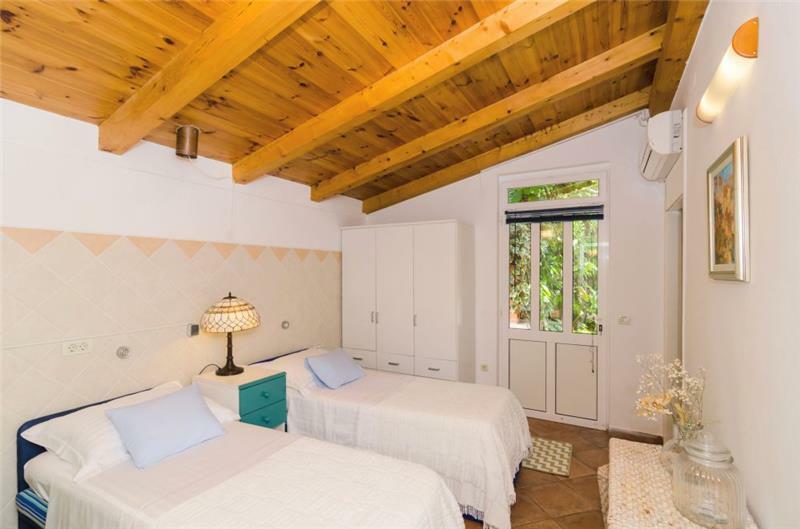 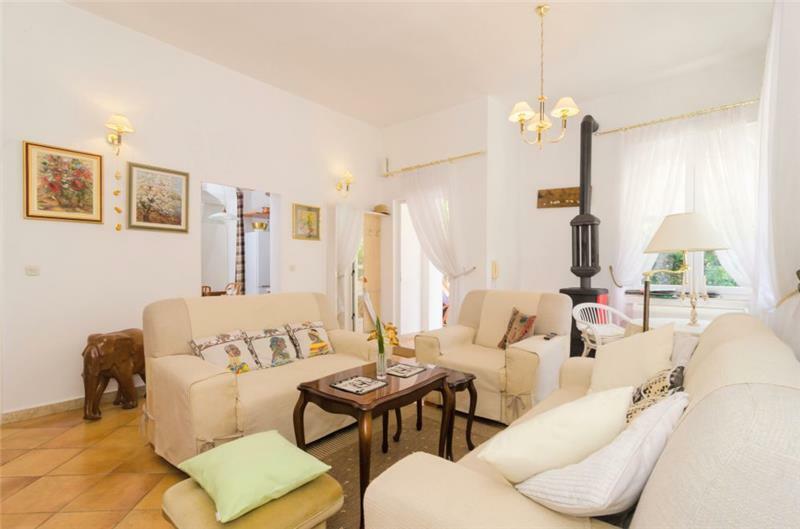 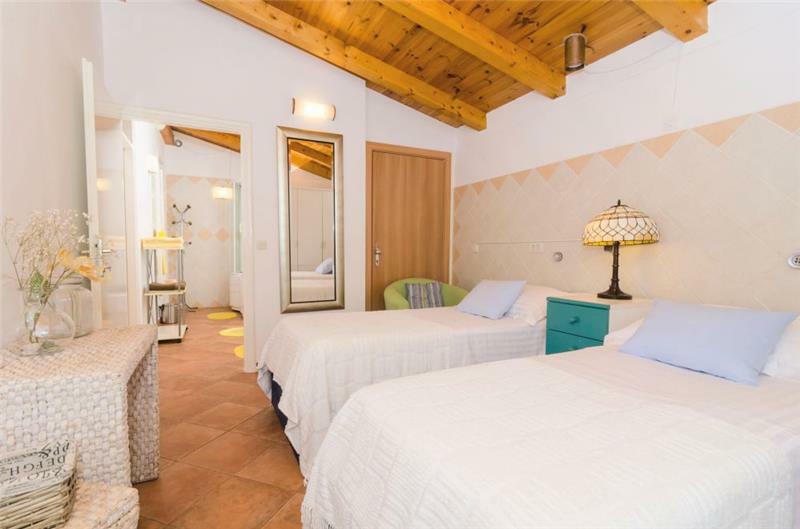 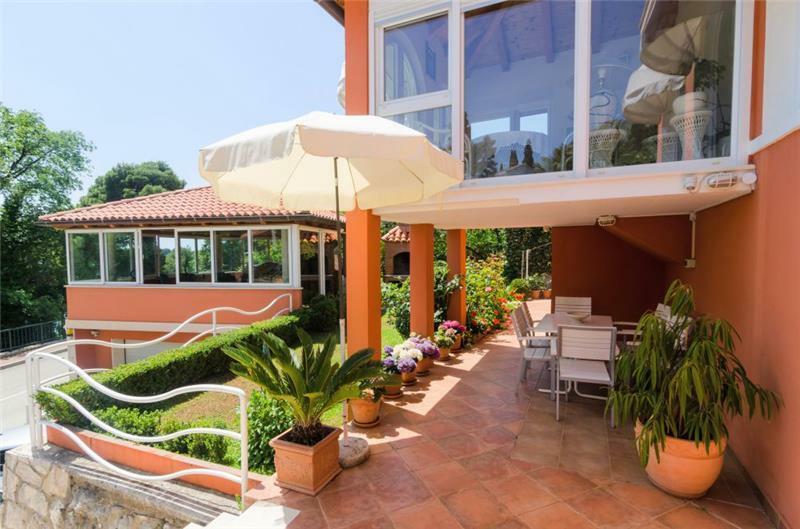 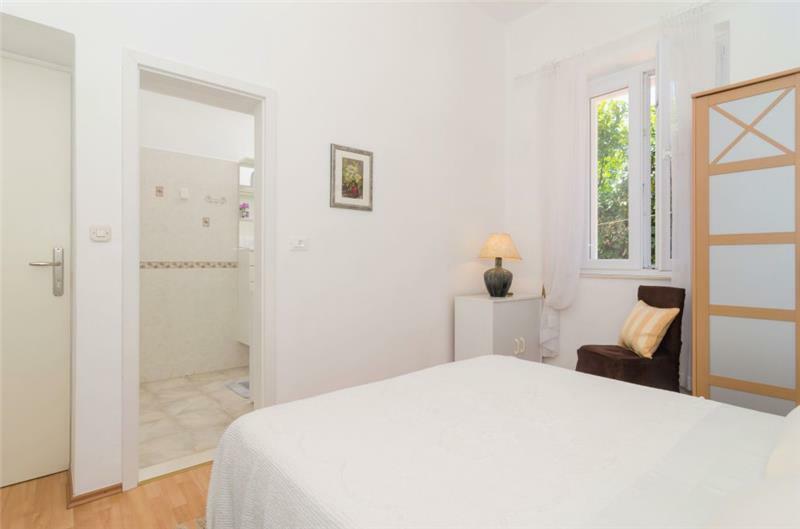 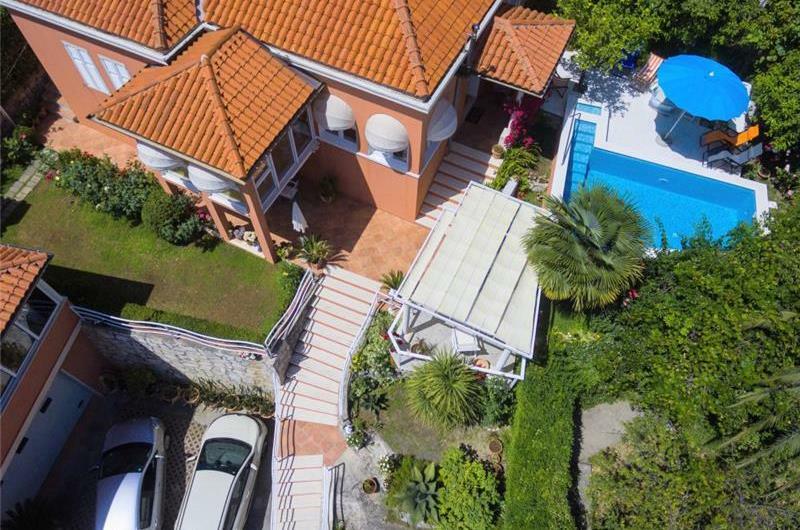 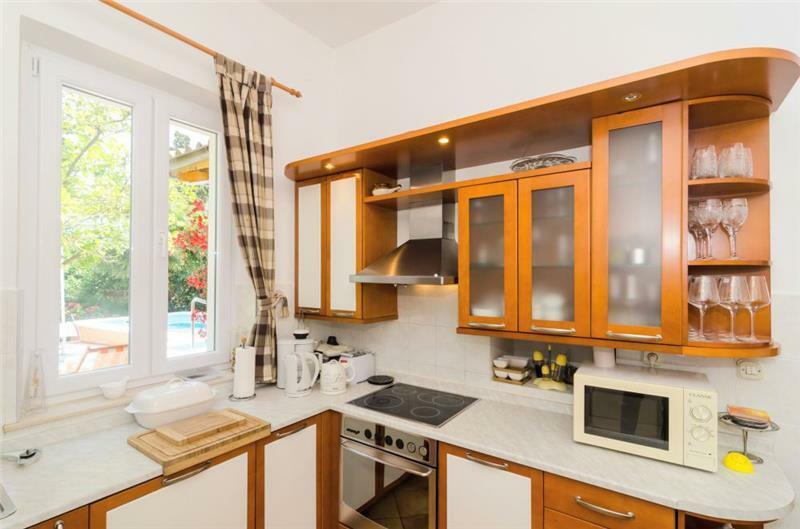 The villa would suit those who would like to be within walking distance of the sea and restaurants, and is particularly suited to families due to its spacious layout and easy access to amenities. 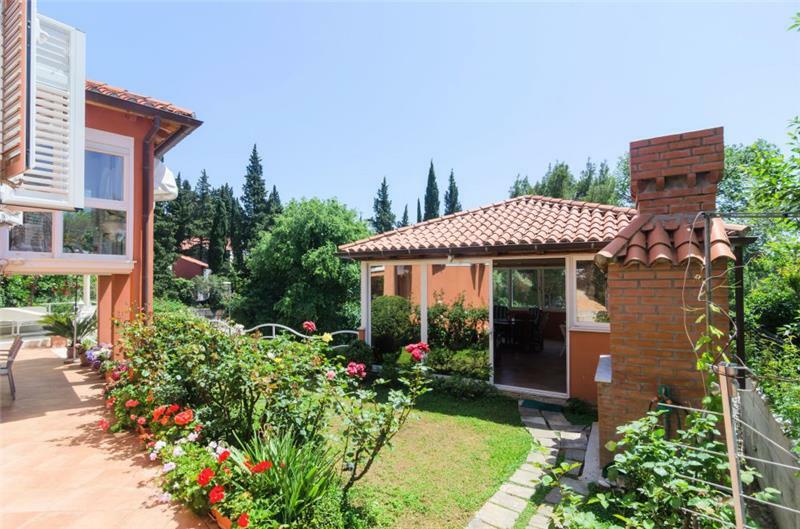 Other attractions nearby include the historical towns of Dubrovnik and Cavtat, excursions to off shore islands such as Mljet and the Elaphite islands as well as a day trip to Montenegro to name but a few. 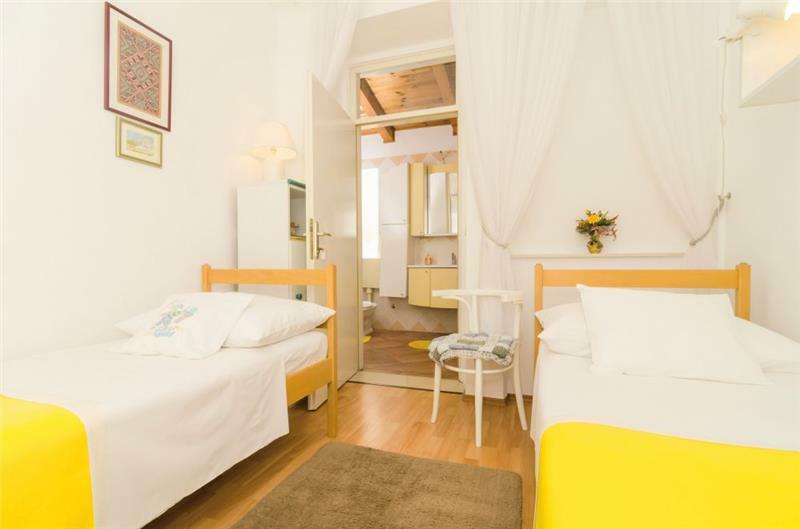 Arrival days: Sunday for all dates. 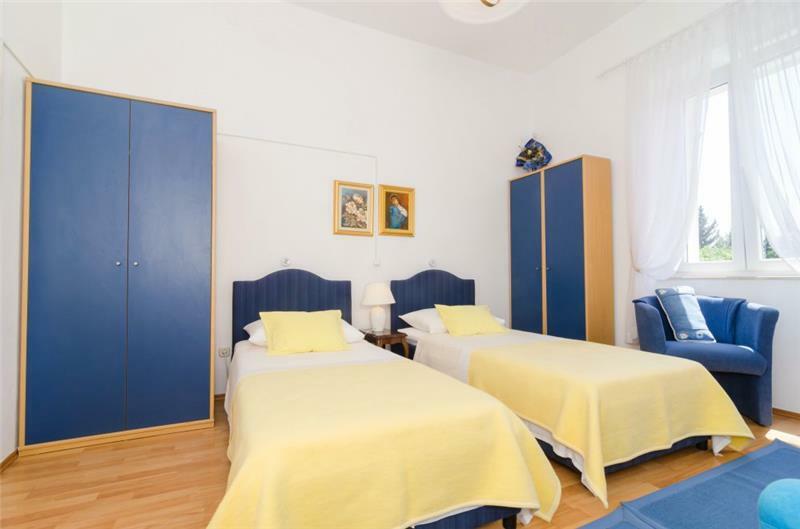 Prices vary based on group size. 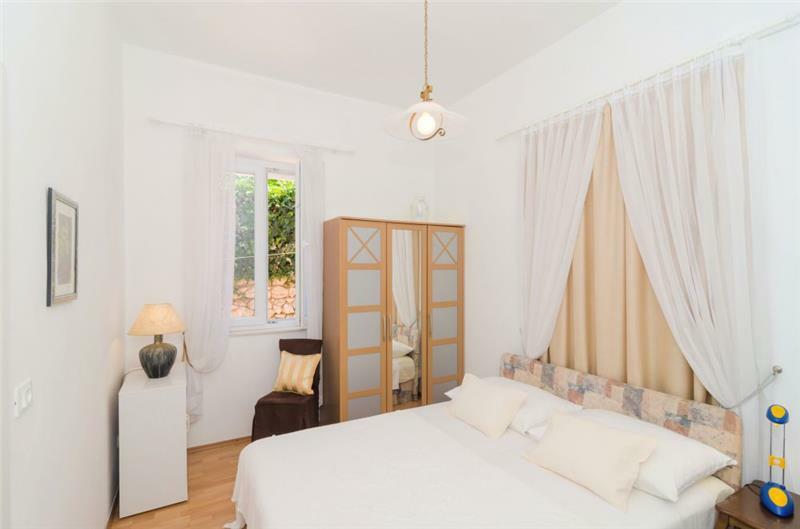 Please select the correct group size at time of booking for an accurate quote. 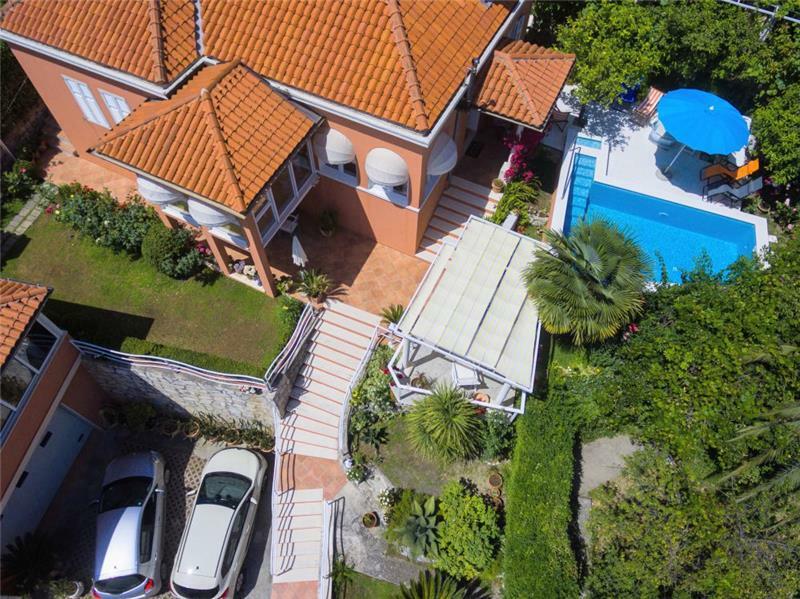 21 July - 25 Aug.
25 Aug. - 08 Sept.
08 Sept. - 07 Oct.